This affordable seven-seater should certainly be high up your list if you're in the market for an economical MPV that's reliable, spacious and a pleasure to drive. The best way to experience one of our used Chevrolet Orlando models is to get behind the wheel, so make sure you pay a visit to Kingsway Motor Company UK Ltd at your first opportunity. Kingsway Motor Company UK Ltd is a leading supplier of quality, affordable used cars in Crawley and we're proud to be able to offer a wide selection of models. We will do everything possible to help you track down a vehicle that fits your requirements perfectly, just contact a member of the team for more information. 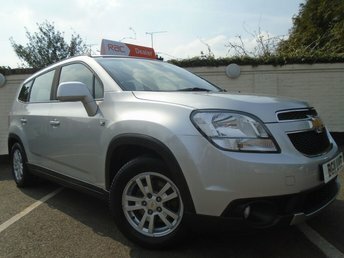 You can also start your search for a used Chevrolet Orlando in Crawley right here on the website.